See and Be Seen, Day or Night. Varia Radar provides visual and audible alerts to warn of vehicles approaching from behind up to 140 metres away. Tail light offers daylight visibility up to a mile away and is visible within a 220-degree range, so drivers can see you well before the radar sees the vehicle. Sleek vertical design easily mounts to most road-use bicycles, including racing, touring and commuter styles. Supplied with various seatpost mounting options. 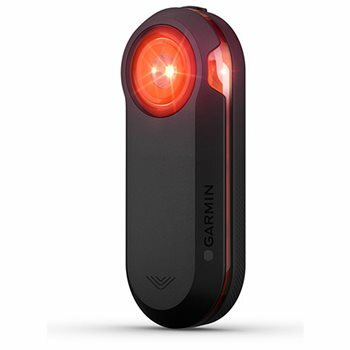 Requires a dedicated radar display unit (sold in the bundle) or wirelessly integrates with compatible Garmin devices (sold separately). Battery life: up to 15 hours in flashing mode or 6 hours in solid or night flash mode.